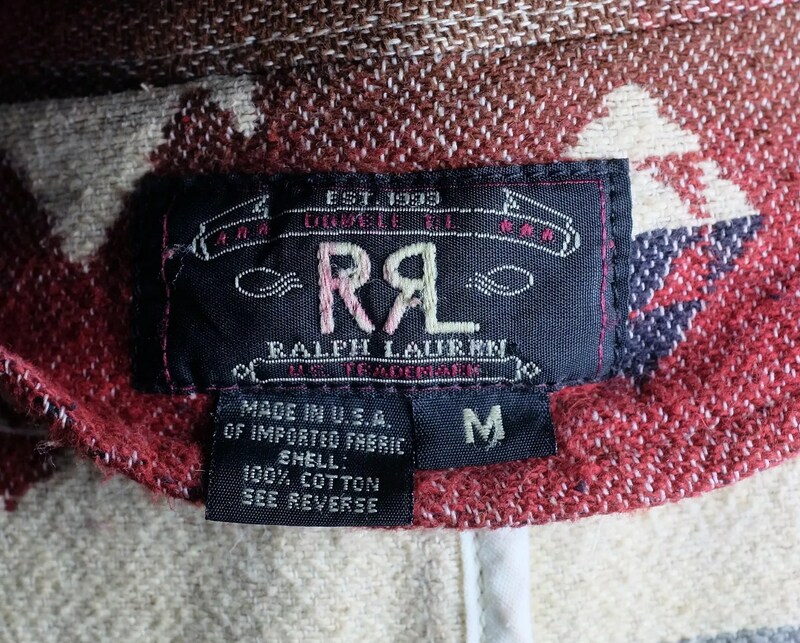 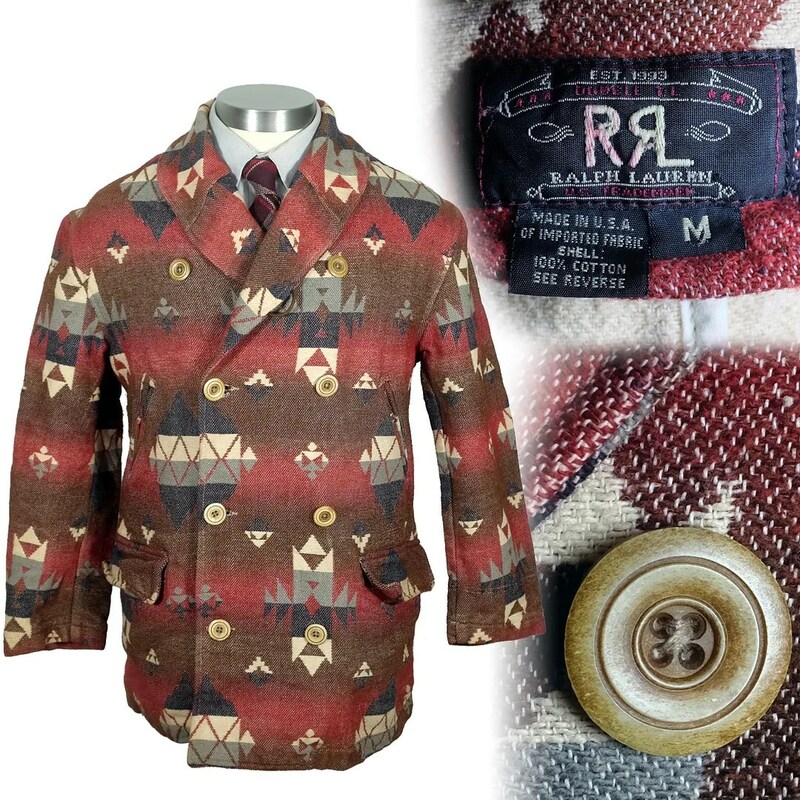 This coat is an older RRL Ralph Lauren product. 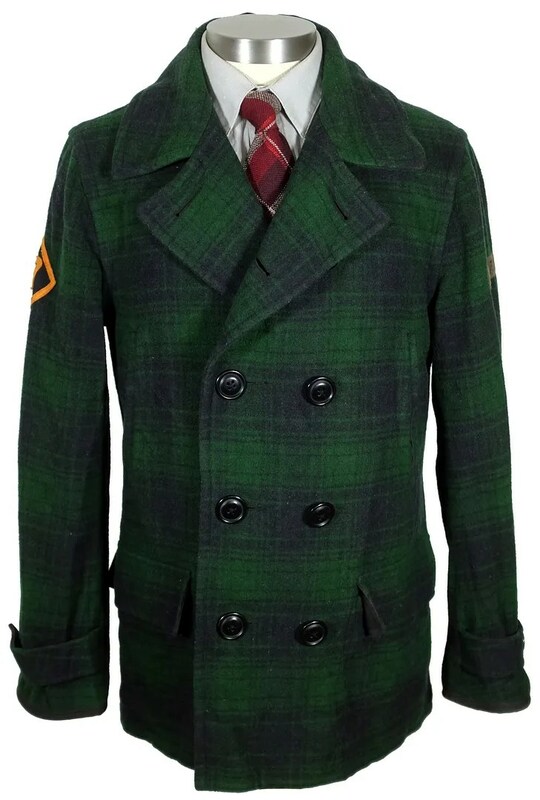 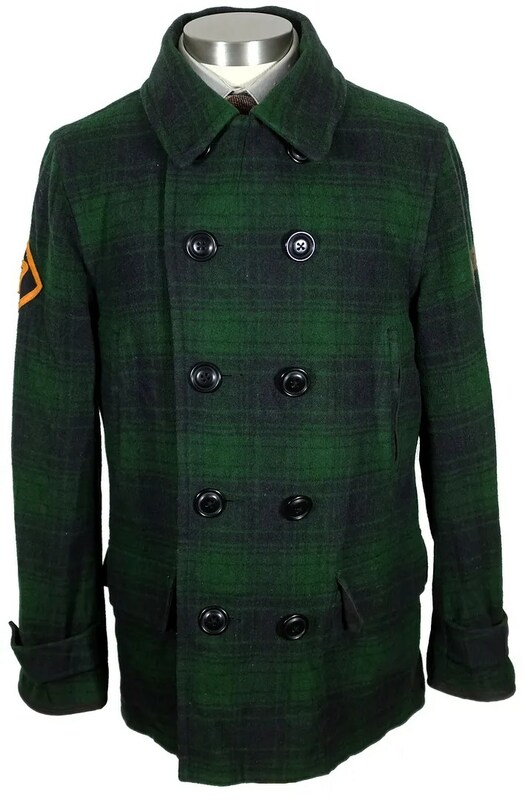 Based on a design from the 1900s-1920s, the coat has a shawl collar, handwarmer pockets, flapped cargo pockets, belt loops, and an unlined construction. 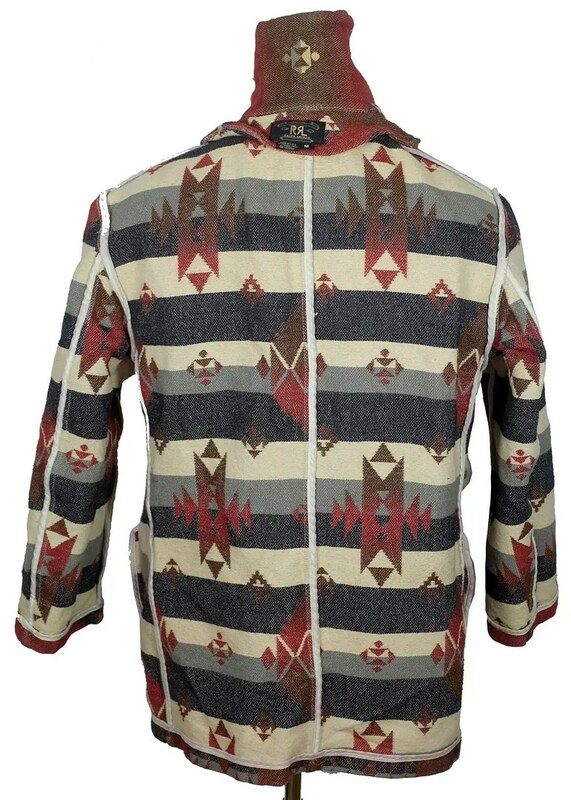 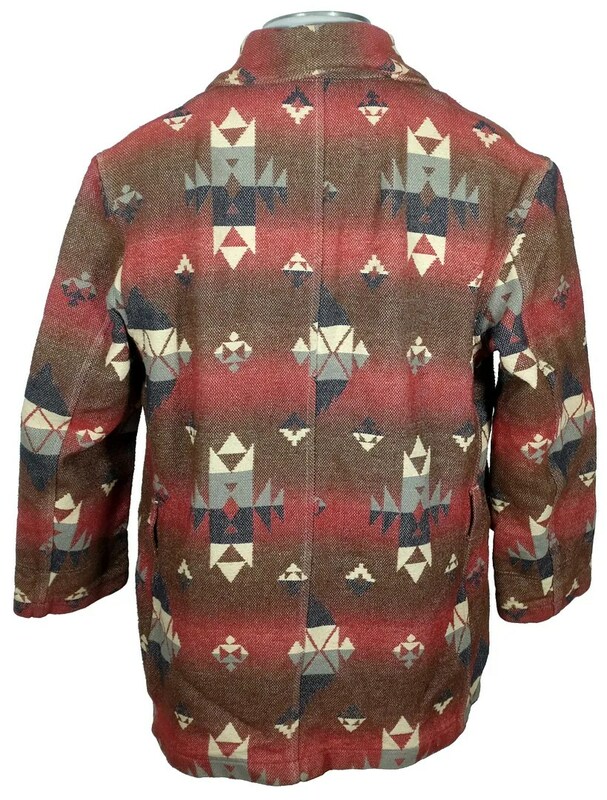 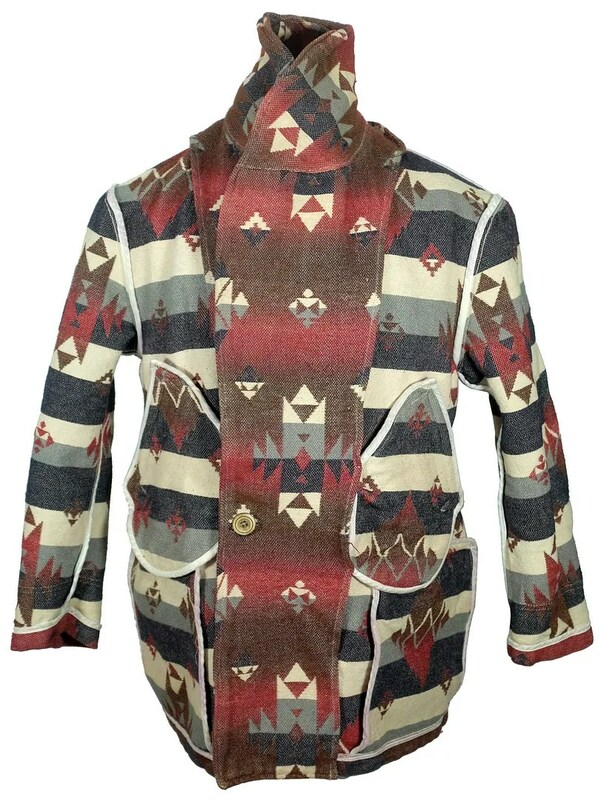 It was made in the USA from Indian blanket patterned fabric in 100% cotton. 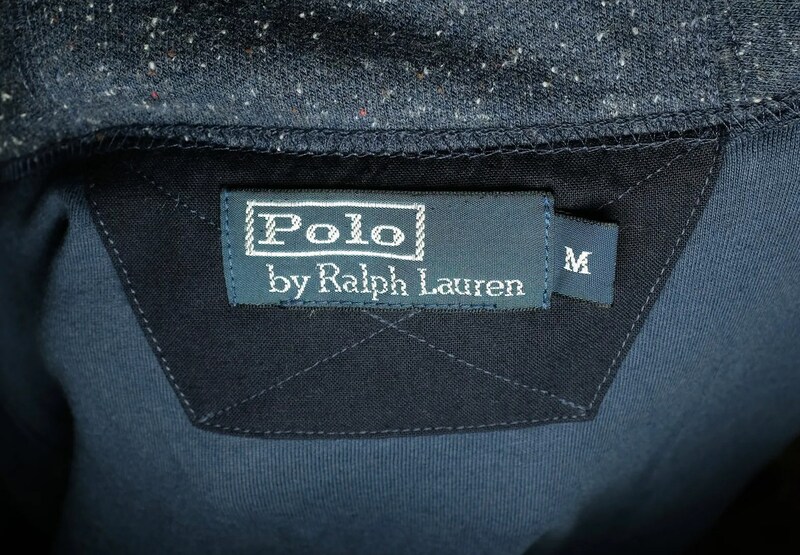 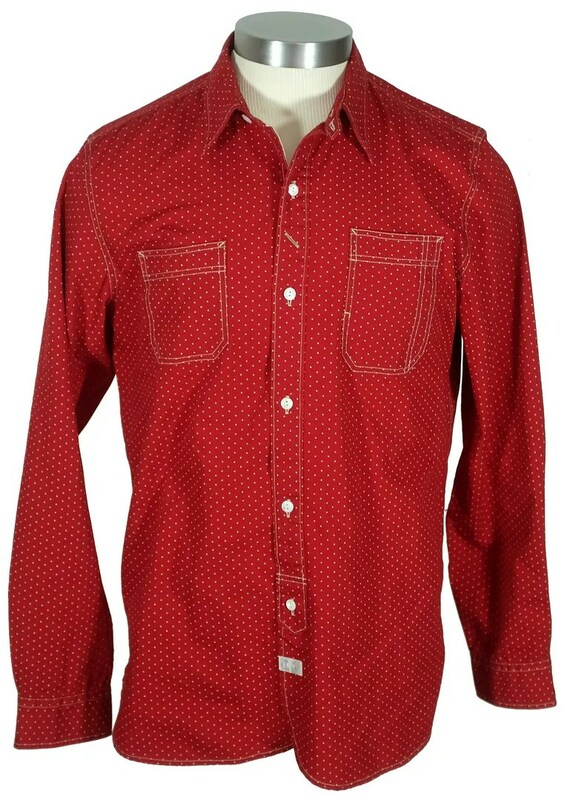 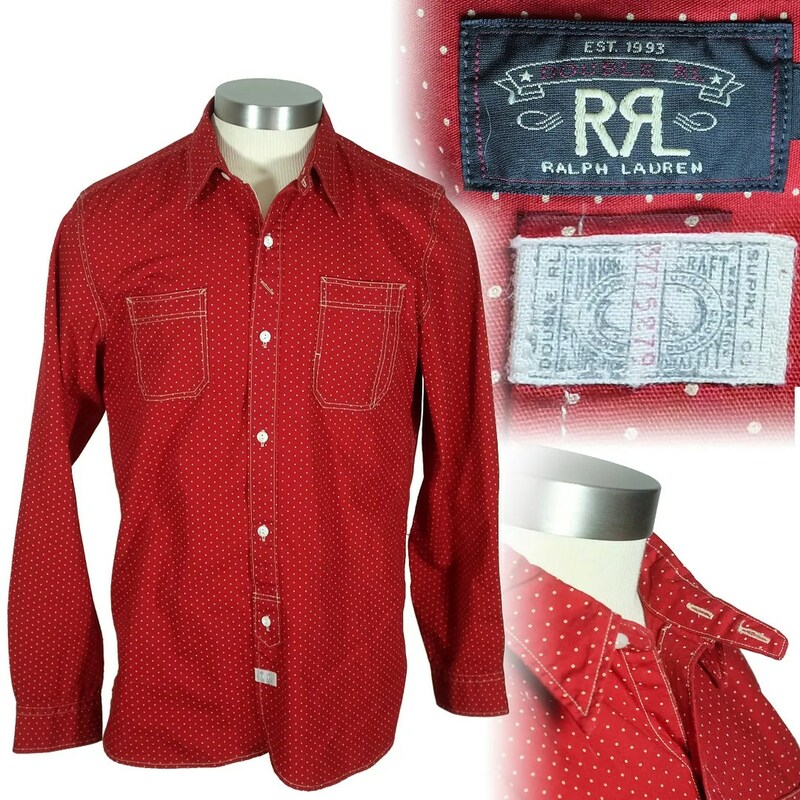 This shirt was made by Ralph Lauren under their RRL line. 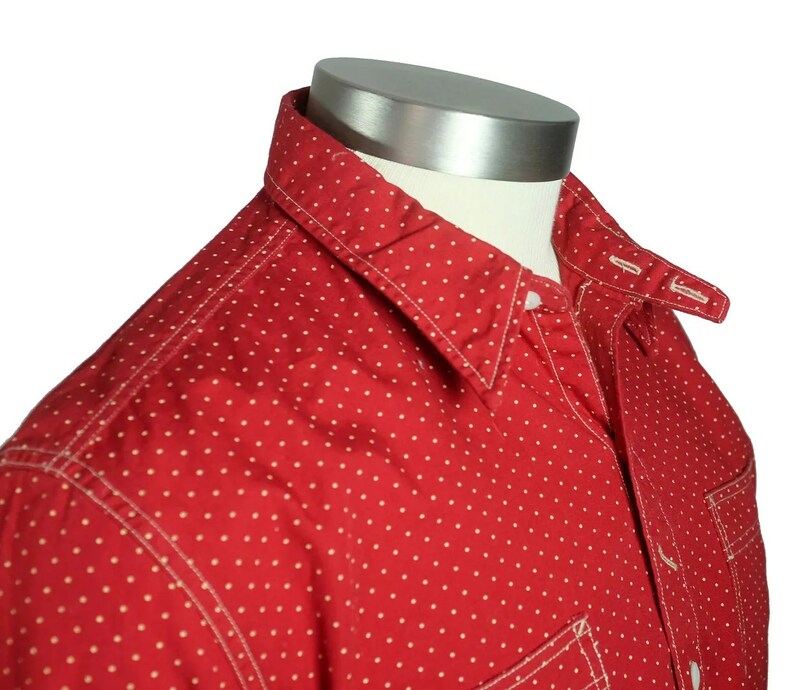 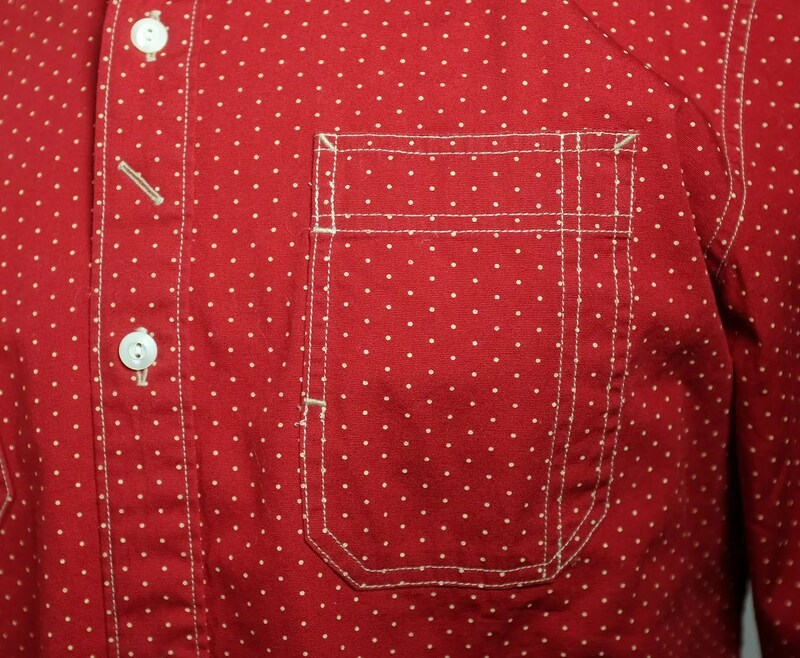 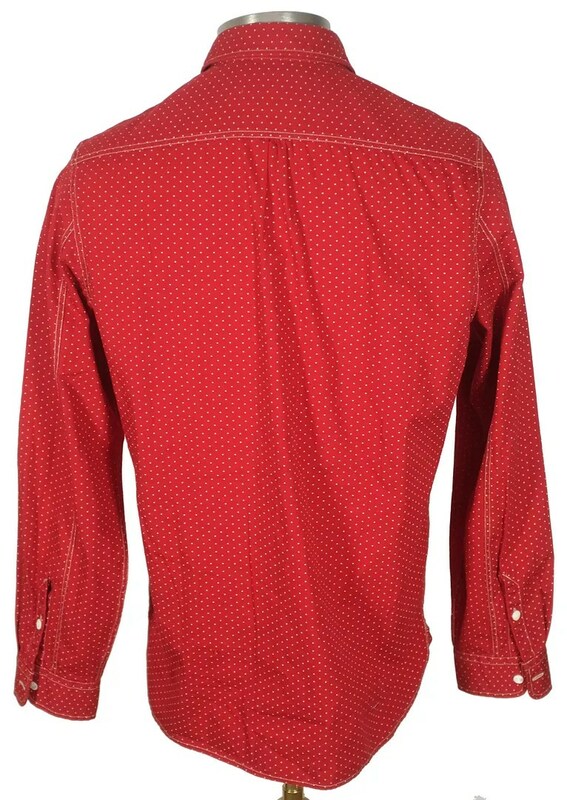 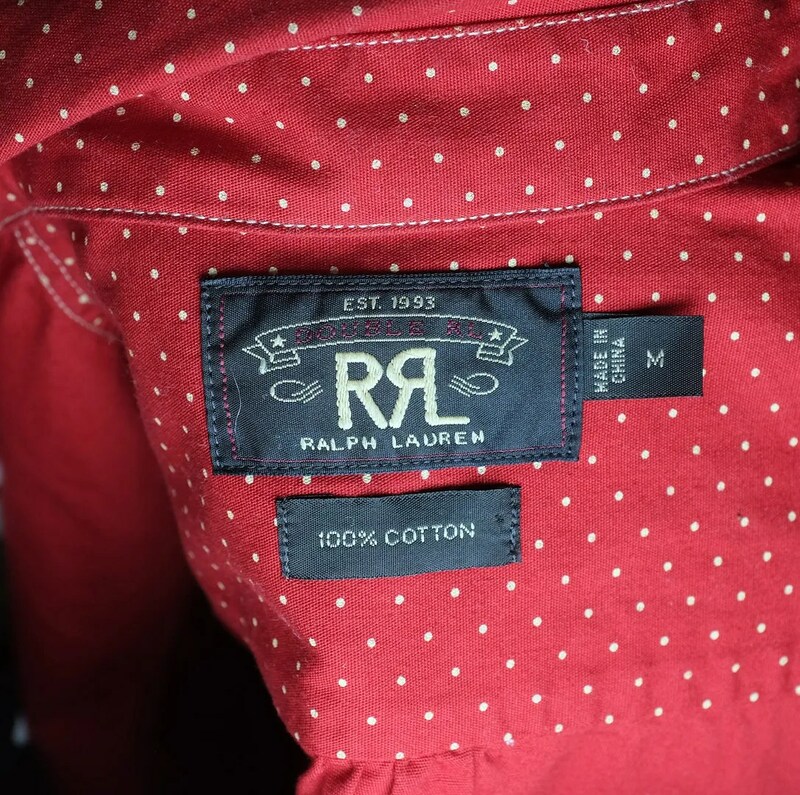 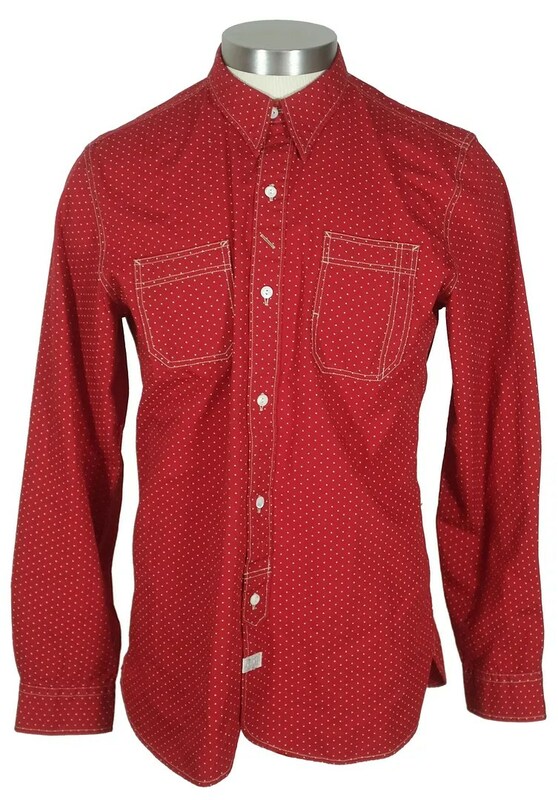 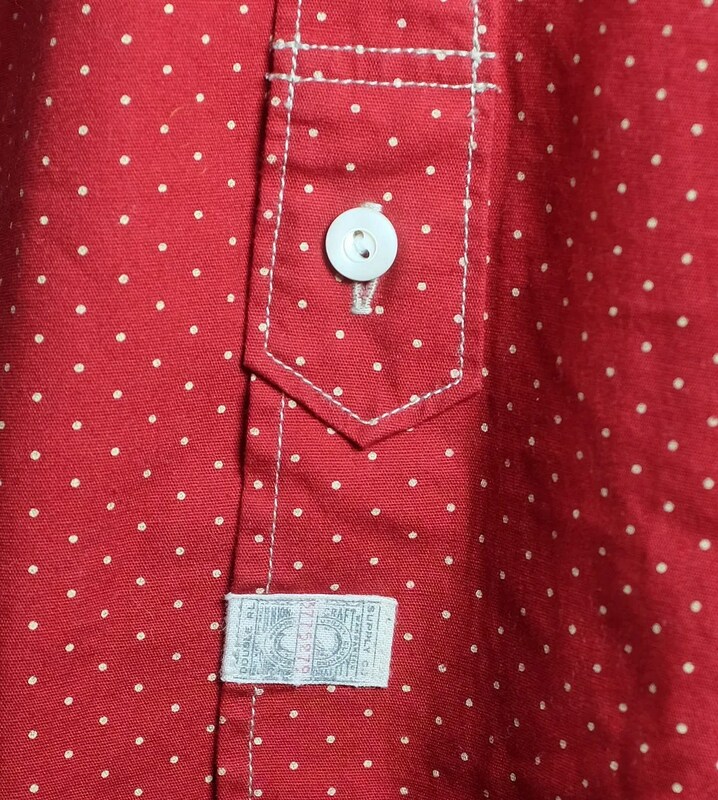 Drawing influence from work shirts of the 1930s, it has a red and white dot fabric, with a chinstrap, side entry to the breast pocket for a pocket watch, angled buttonhole for a watch chain, asymmetric pockets, pencil pocket, false half-placket and ralph’s take on a vintage union label. 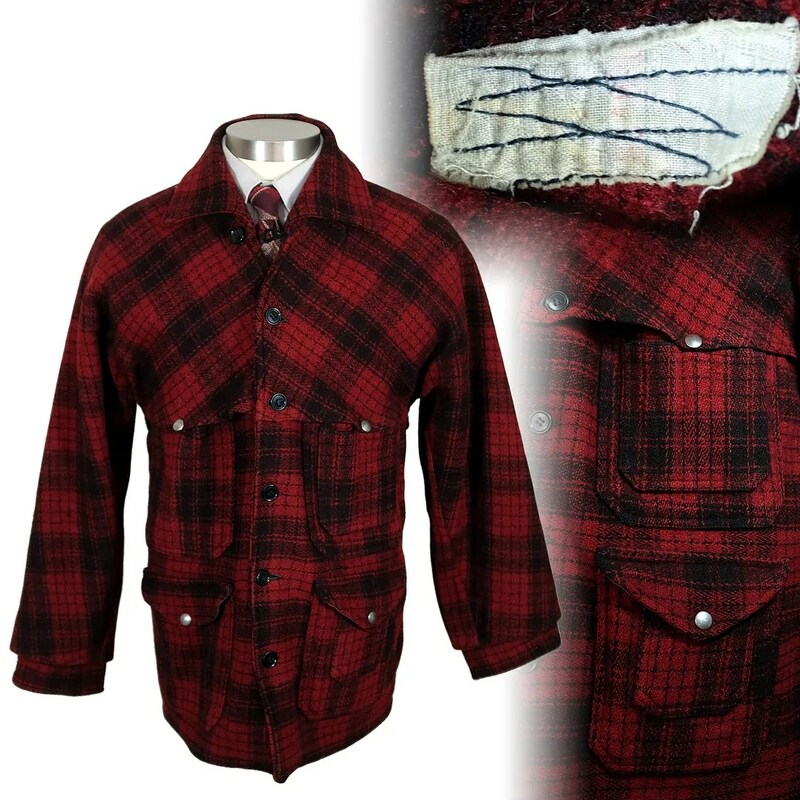 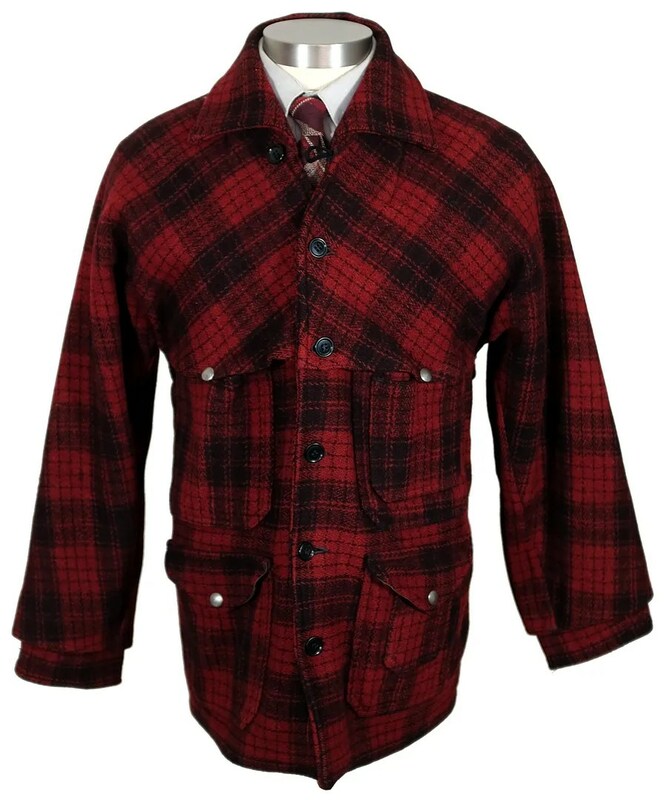 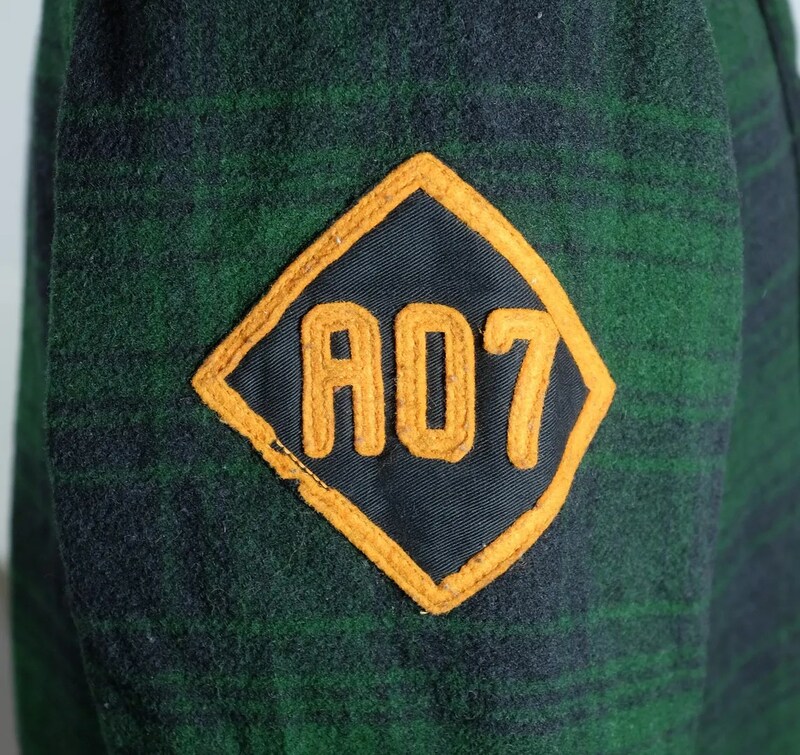 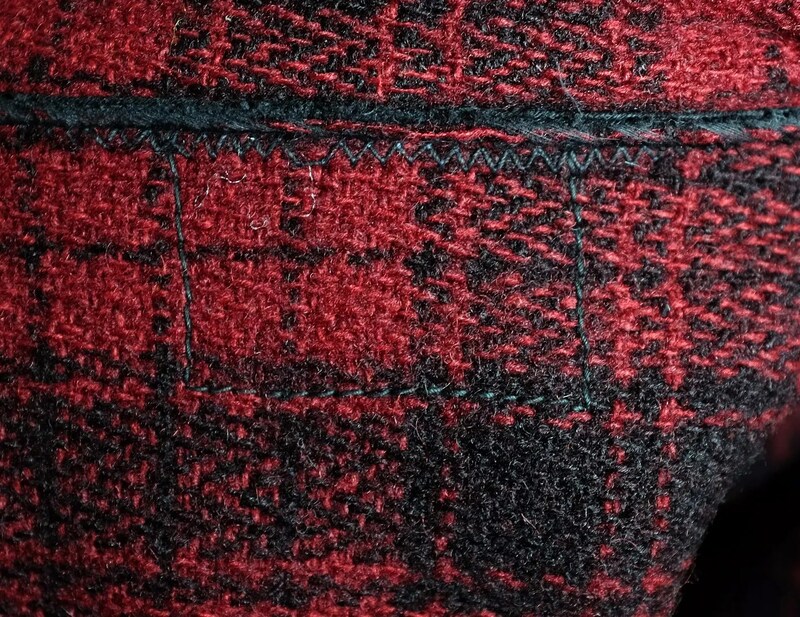 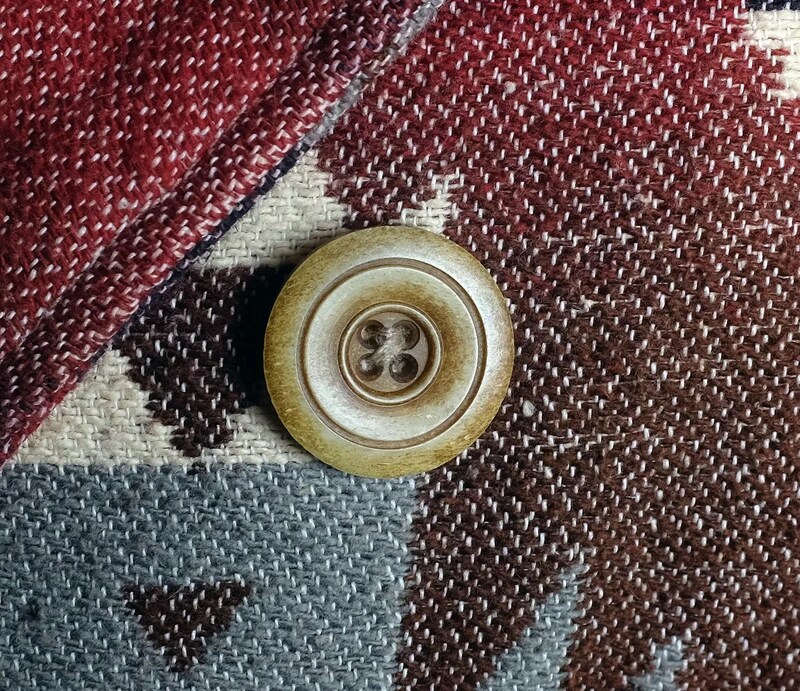 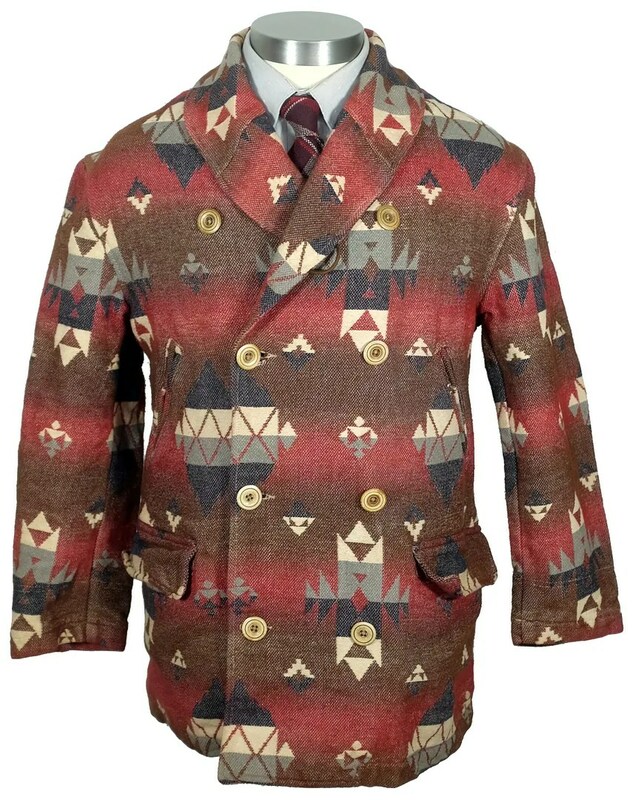 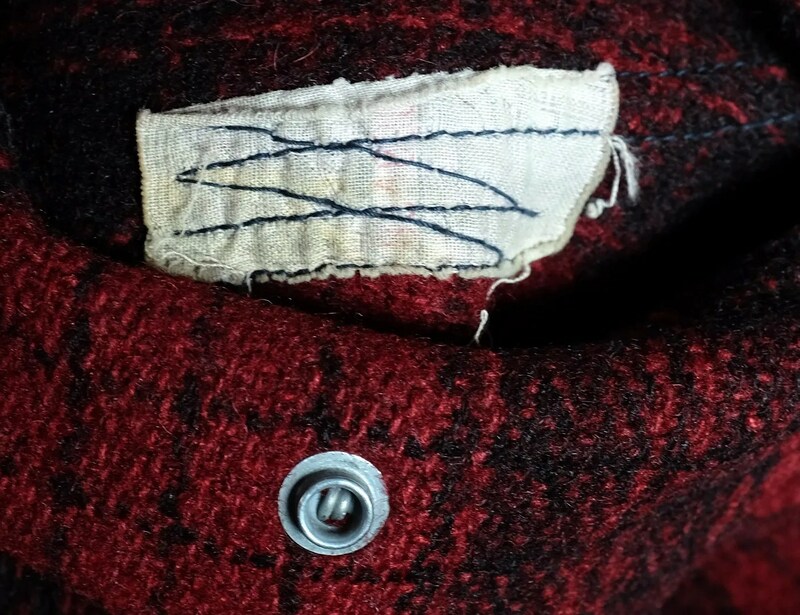 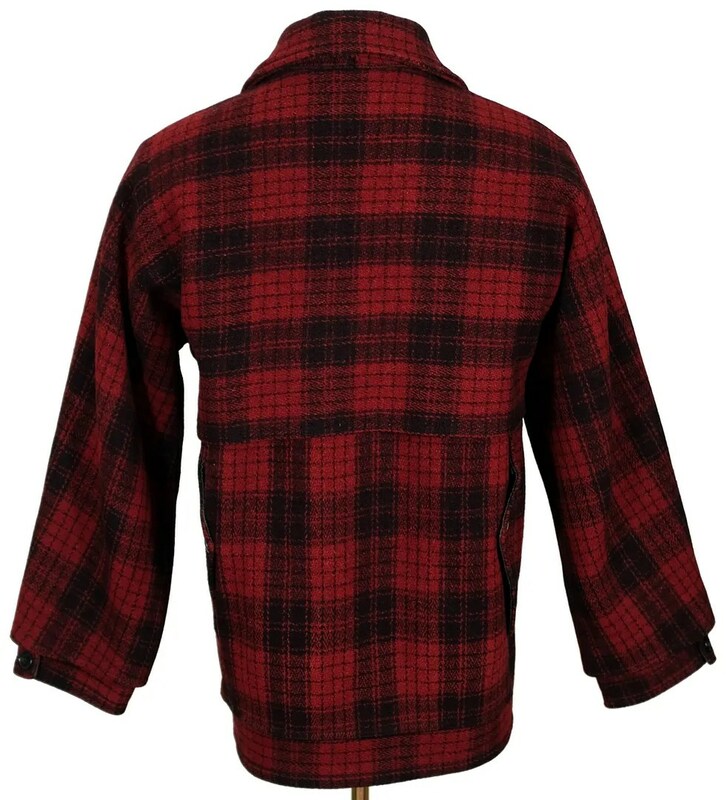 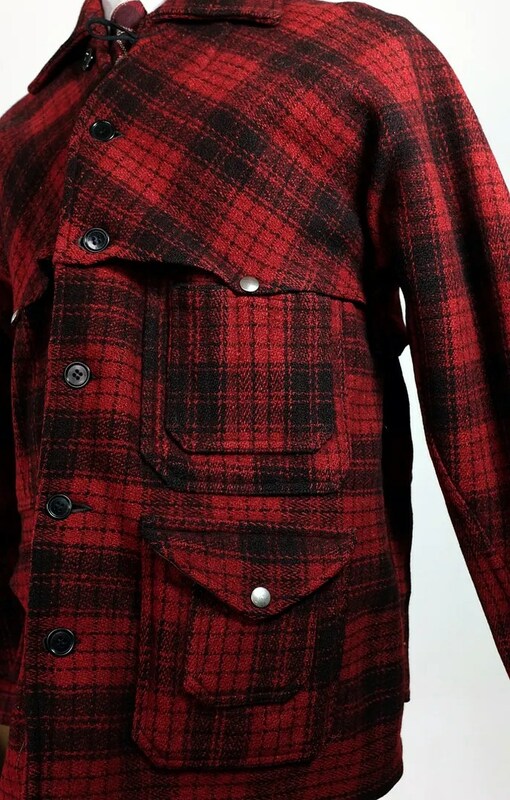 This vintage plaid mackinaw was made in the 1930s. 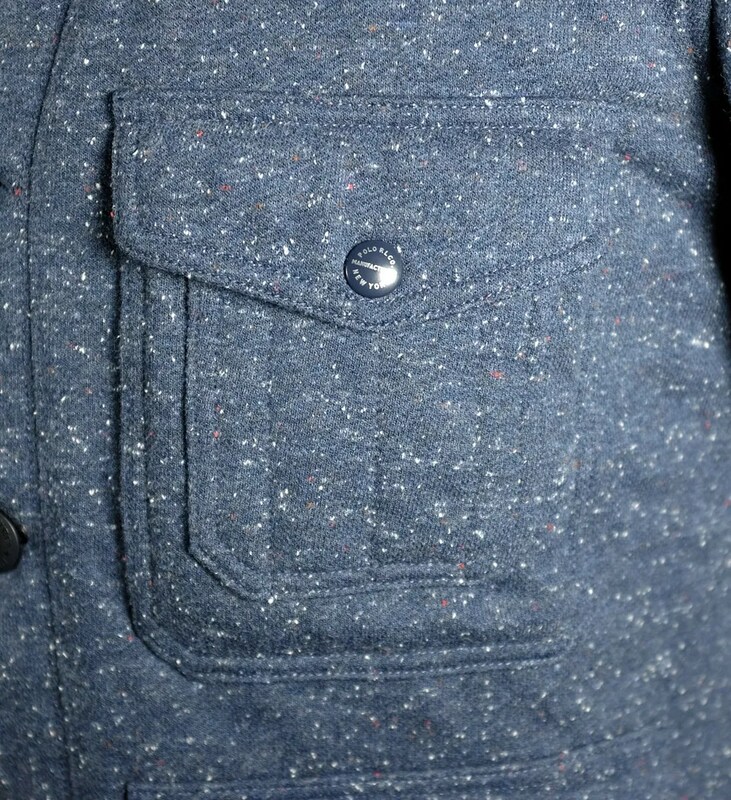 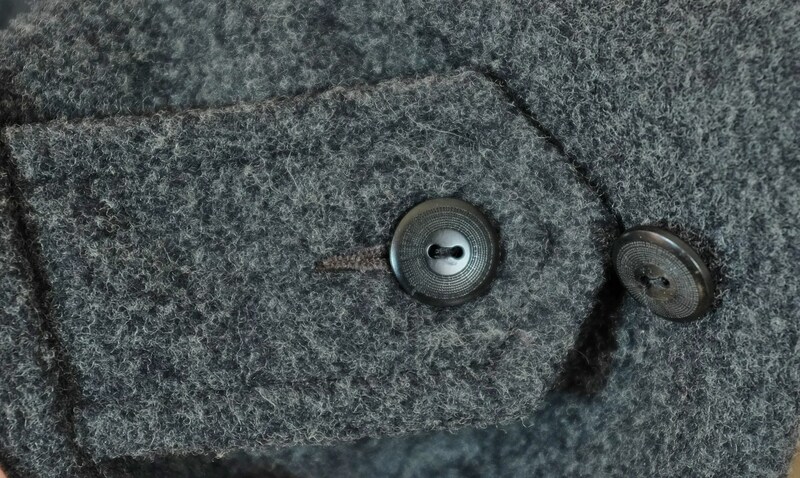 It has a button front, with six pockets, two of which share the pocket flaps of the larger patch pockets upon which they are mounted. 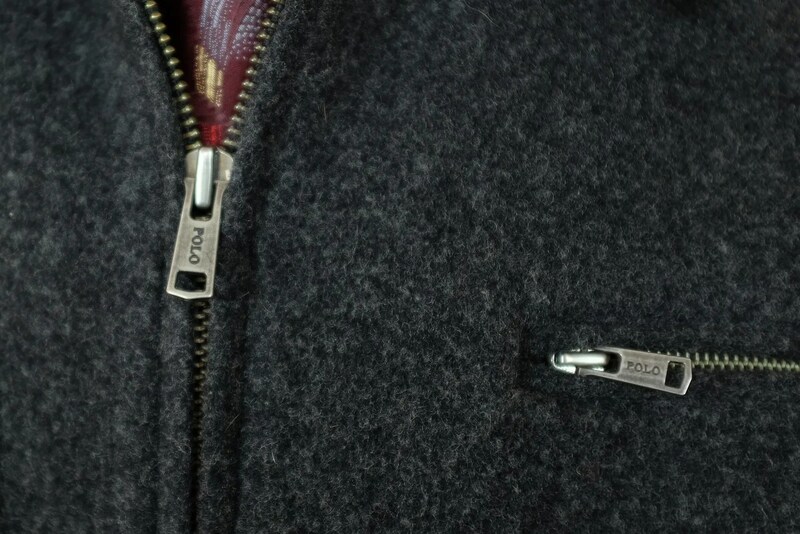 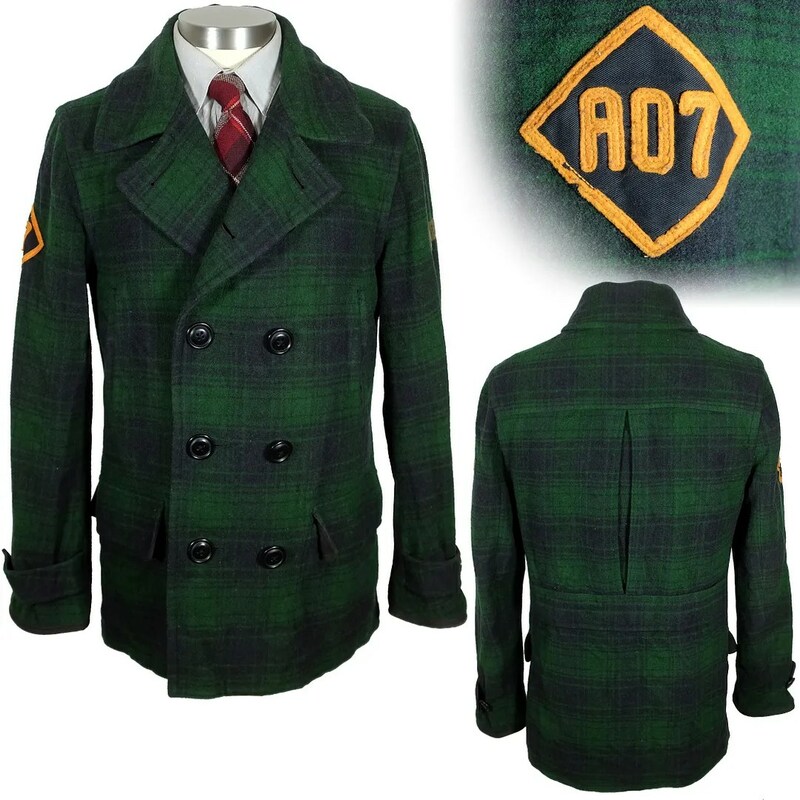 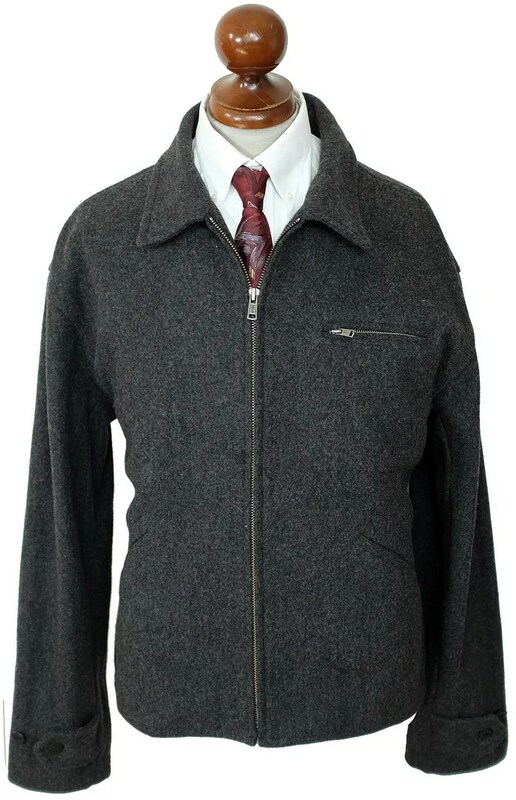 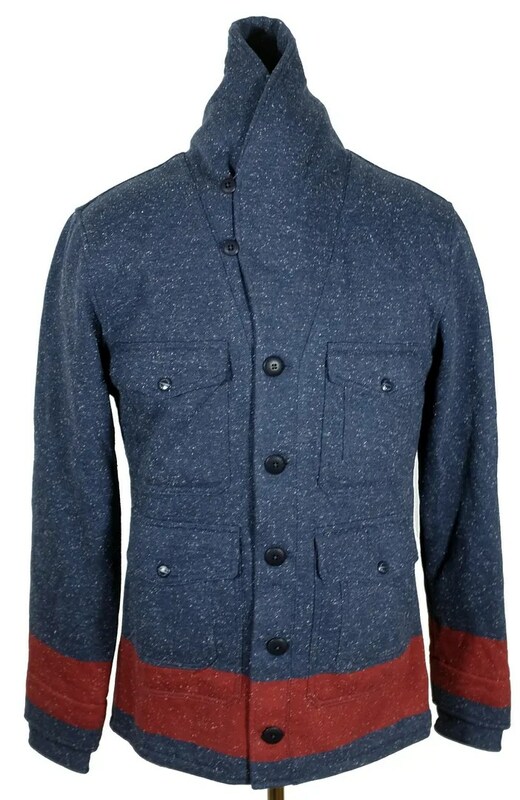 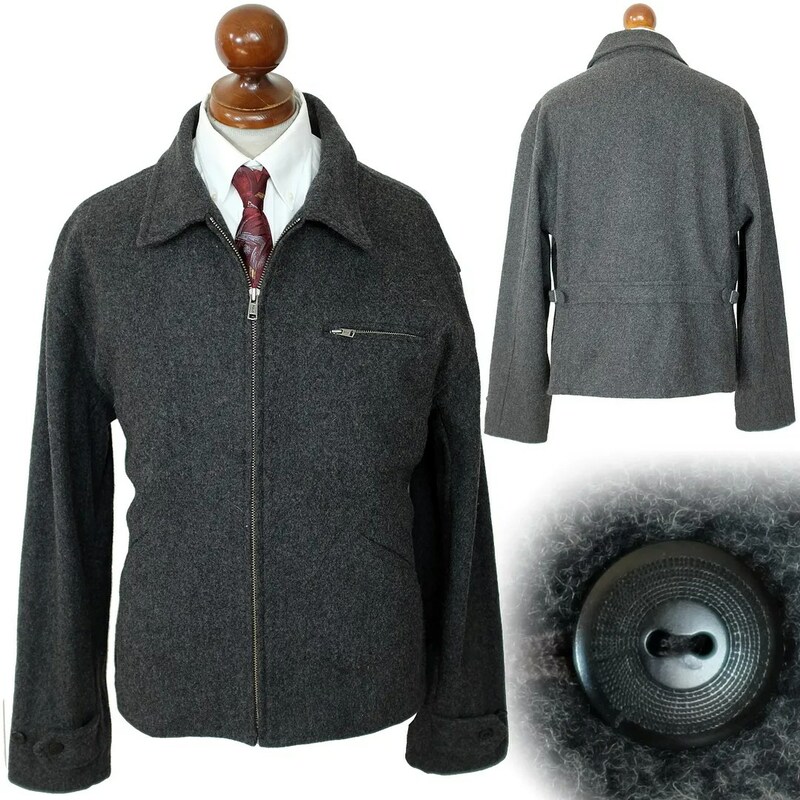 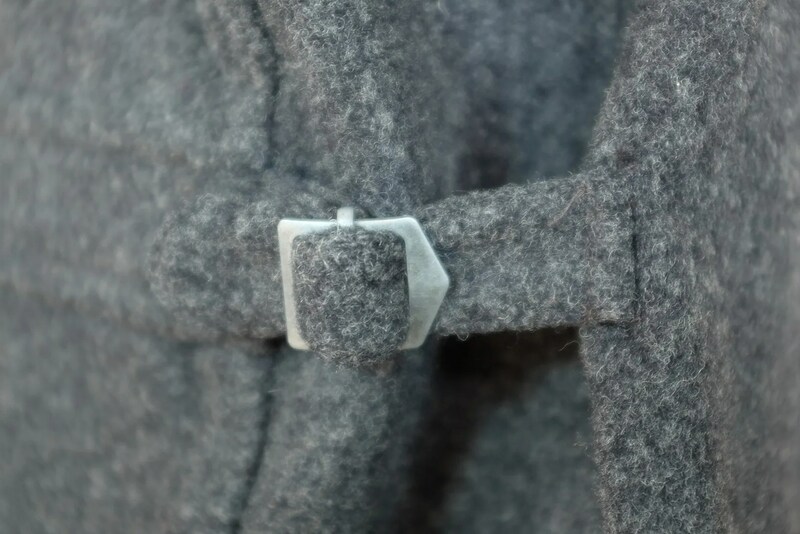 The coat has an unusual cutaway collar with loop closure. 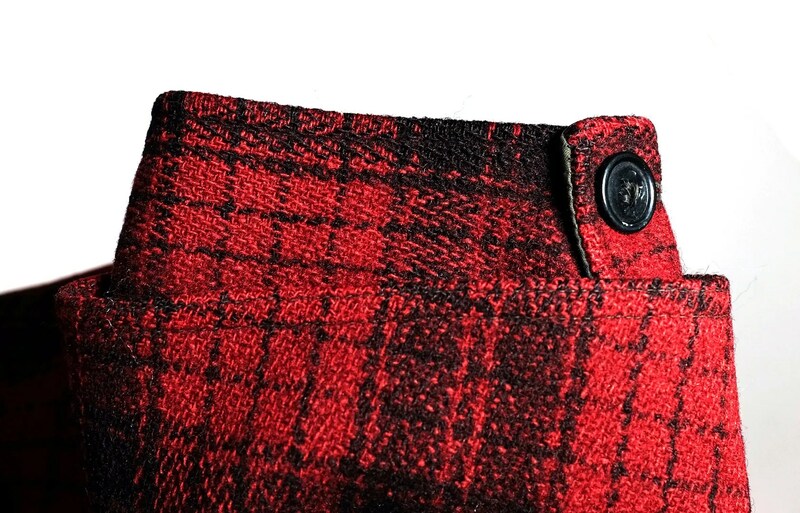 It has a caped back, with side entry game pouch and extended double sleeve/cuffs. 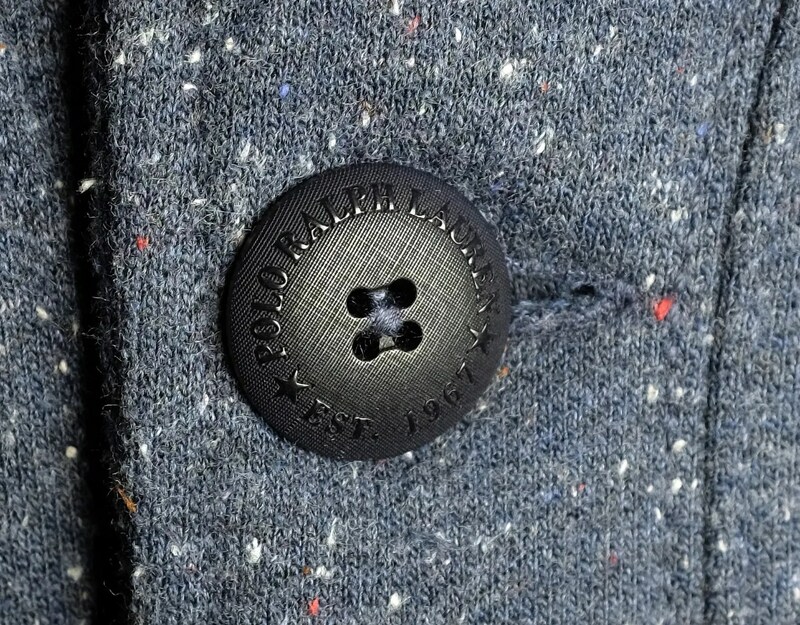 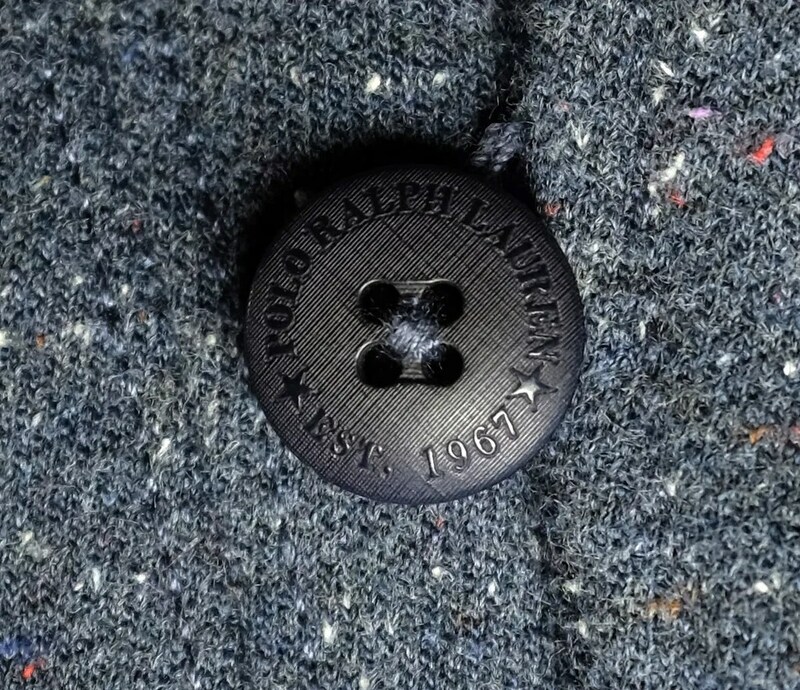 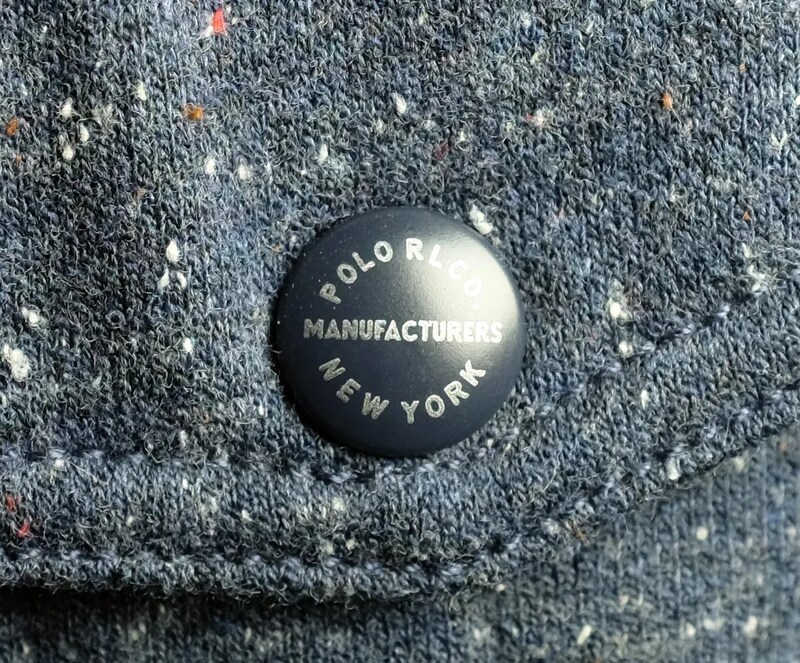 Several versions based on this original model of coat have been produced by Ralph Lauren under both the RRL and Polo lines. 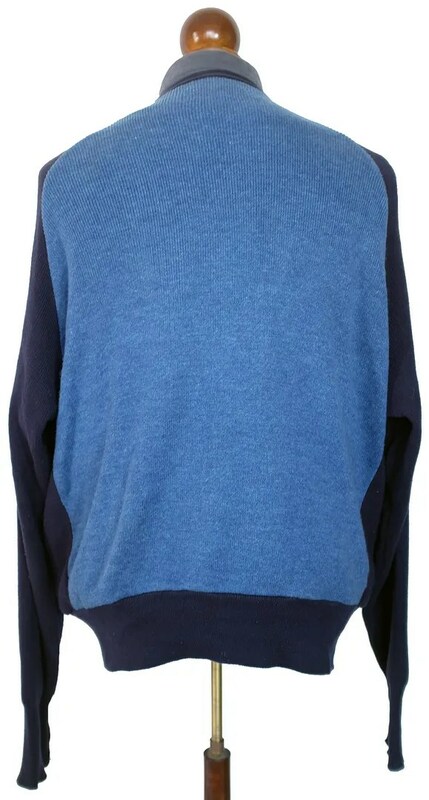 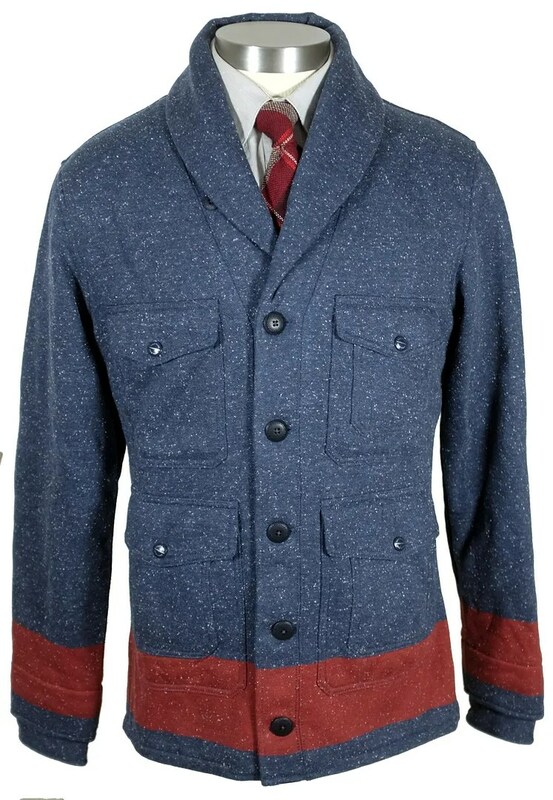 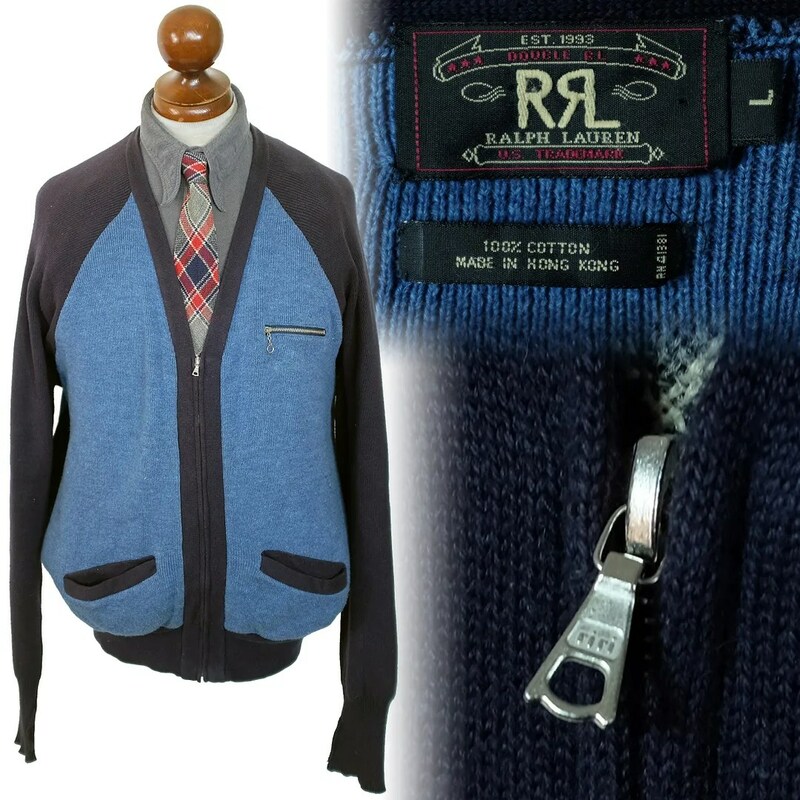 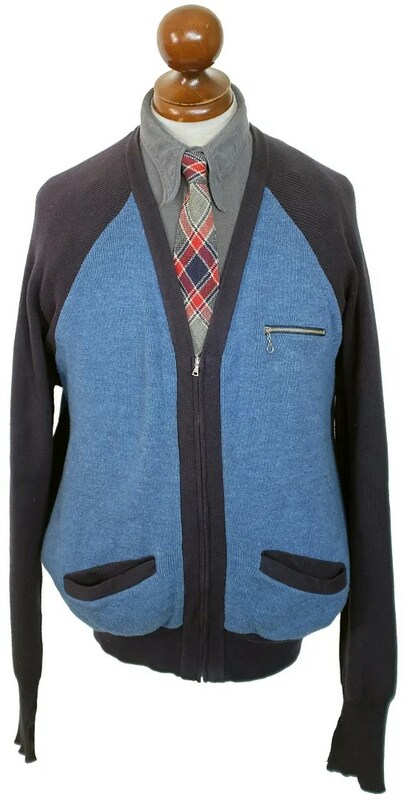 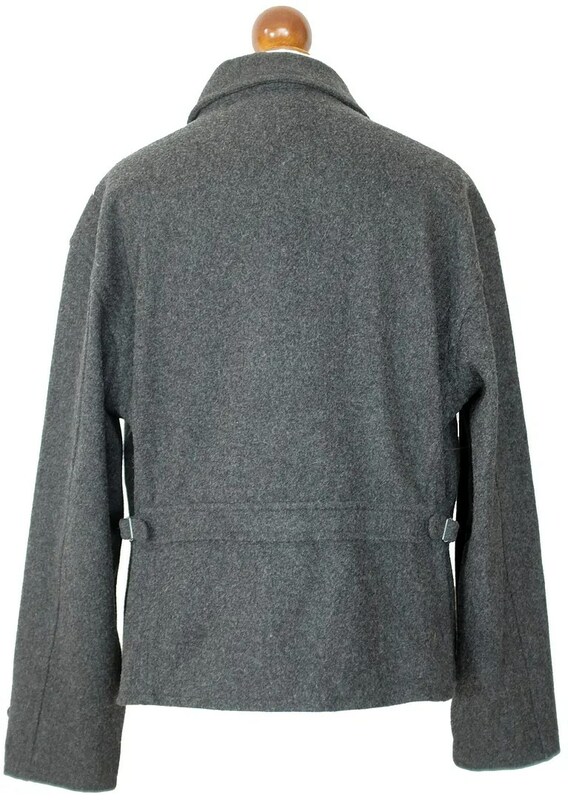 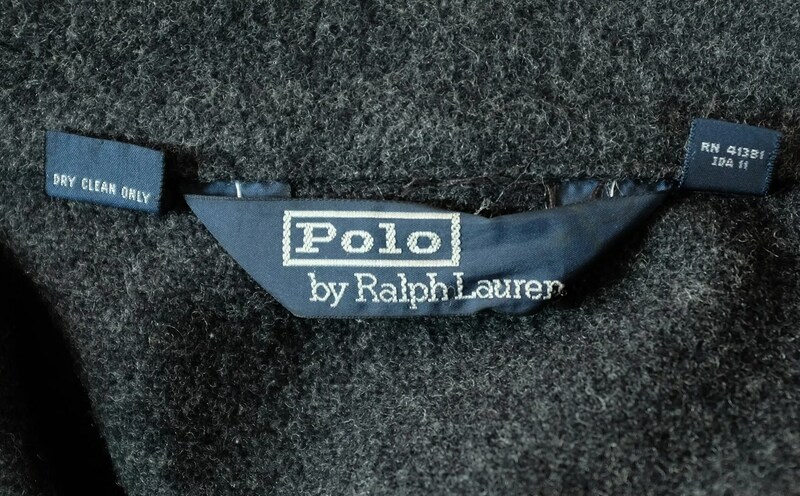 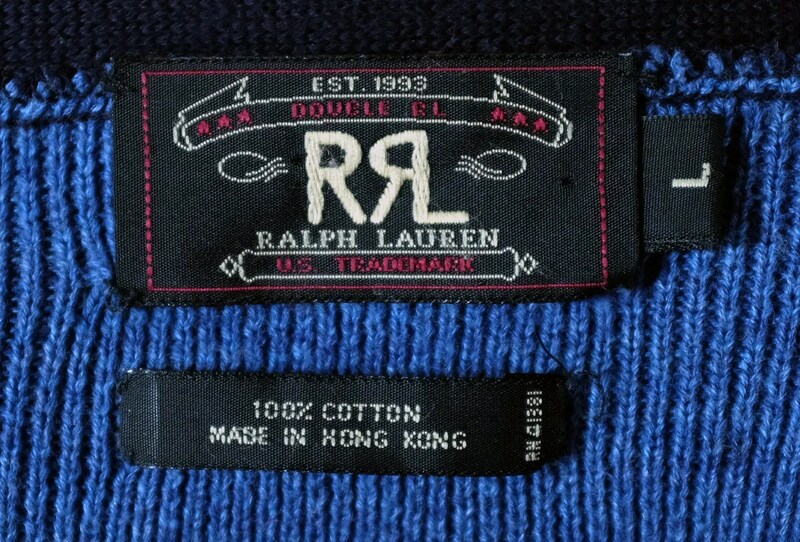 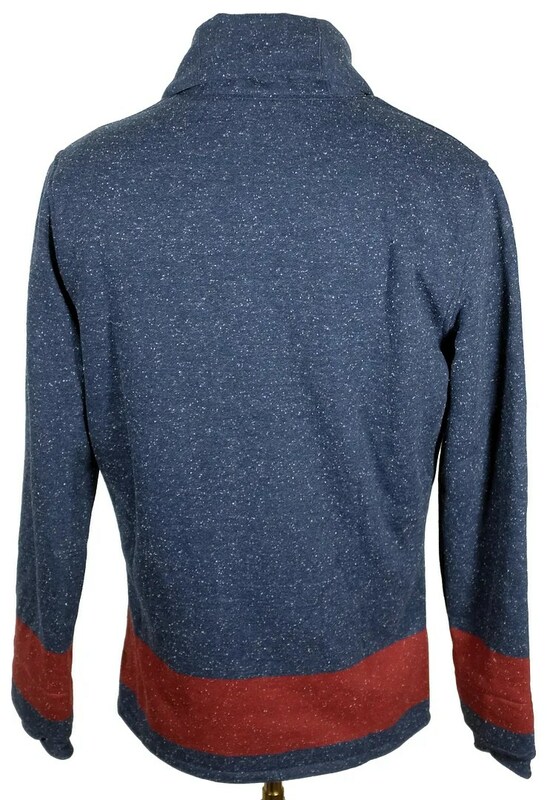 This sweater was made by Ralph Lauren under the high end RRL label, and is influenced heavily by the two tone, zip front, raglan shoulder cardigans popular in the late 1930s-1940s. 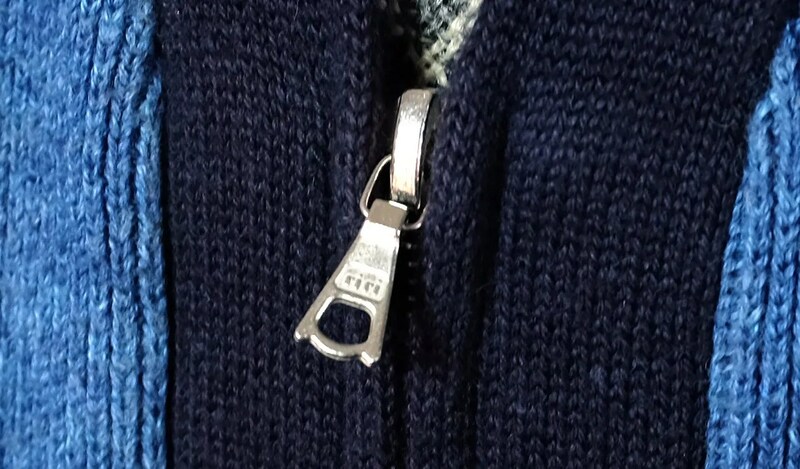 It is made of cotton and has RiRi zippers. 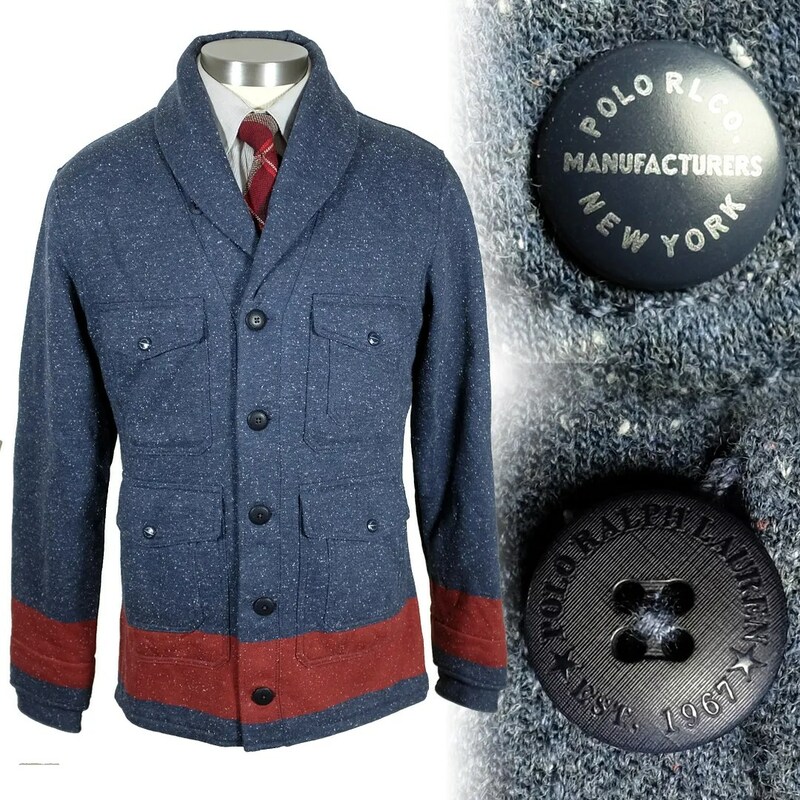 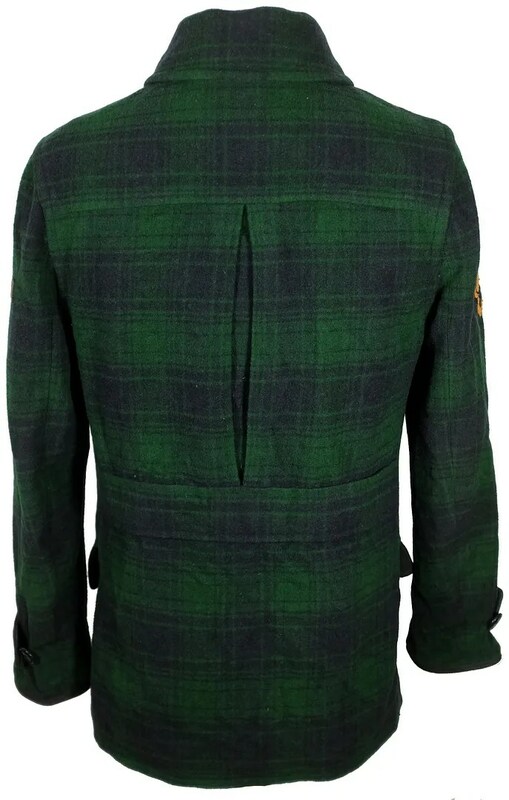 This jacket was made by Ralph Lauren under the Polo label and is based closely on work jackets of the 1930s. 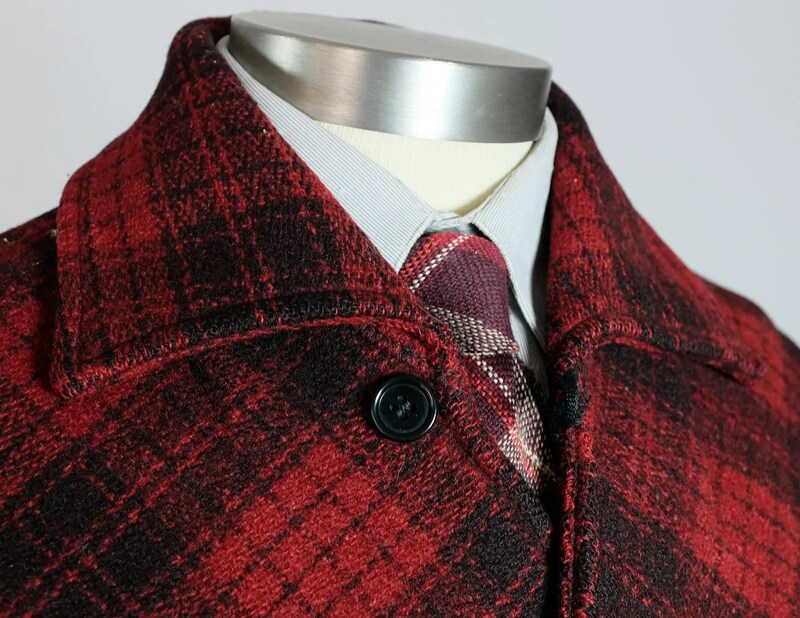 It has a half-belt back with side adjusters, shirt style collar, buttoned cuff adjuster belts, unlined construction with tape seams, handwarmer pockets, a zipped breast pocket and vintage style buttons.